Kittens, rainbows and butterflies? Yes please. Dolphins, SMILING with purple sunsets while playing beach ball? Absolutely. 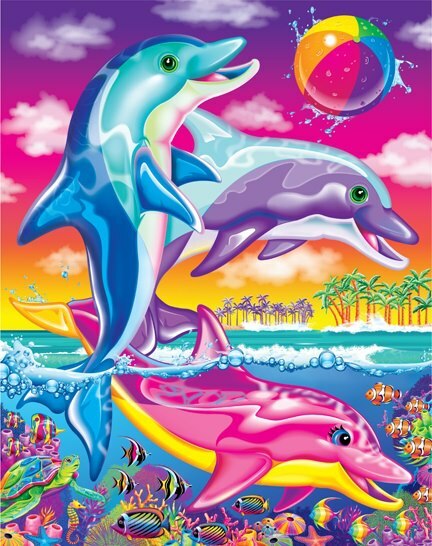 Pink dolphins are my spirit-animal. 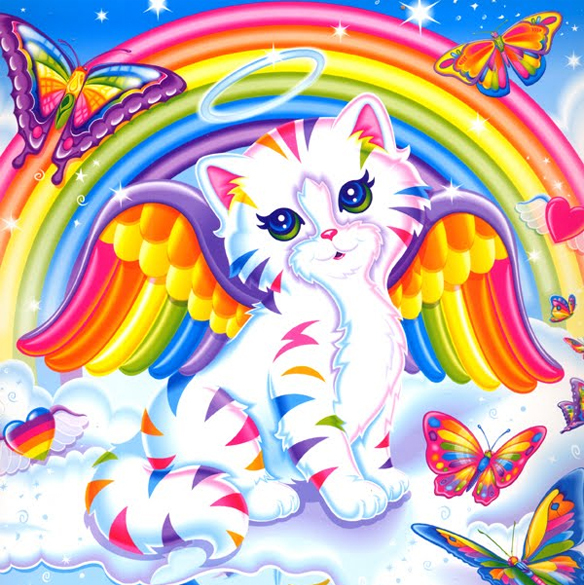 This post is brought to you by Lisa Frank. Inspiring and affirming all of the wonder of little girls hearts. 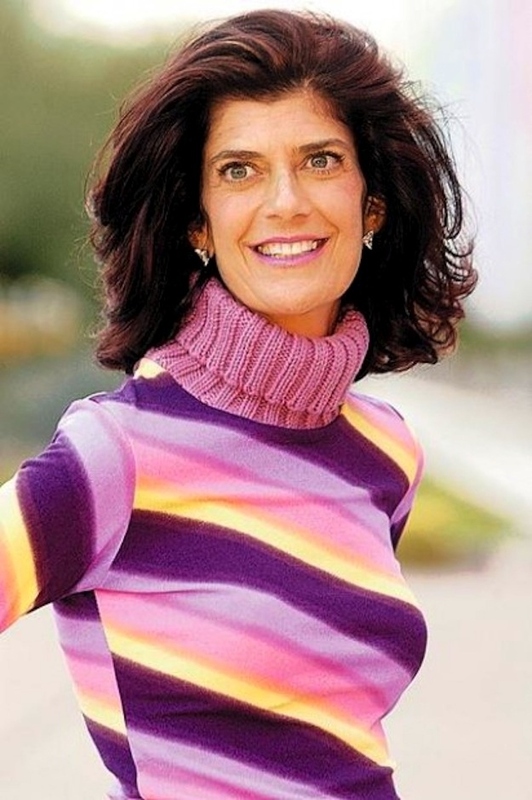 How cute and classy is Lisa in her shades-of-lavender rainbow sweater? I would expect nothing less of a childhood hear-e-o (that is how my kids pronounce hero;-) “Thanks Lisa” – Love, all the Little Girls from the early 90’s. Alright, on to even more exciting things: Rainbow sandals. You’ve served me well Rainbows. They are beginning to crack on the top leather and I’ve all but worn down the bottoms. 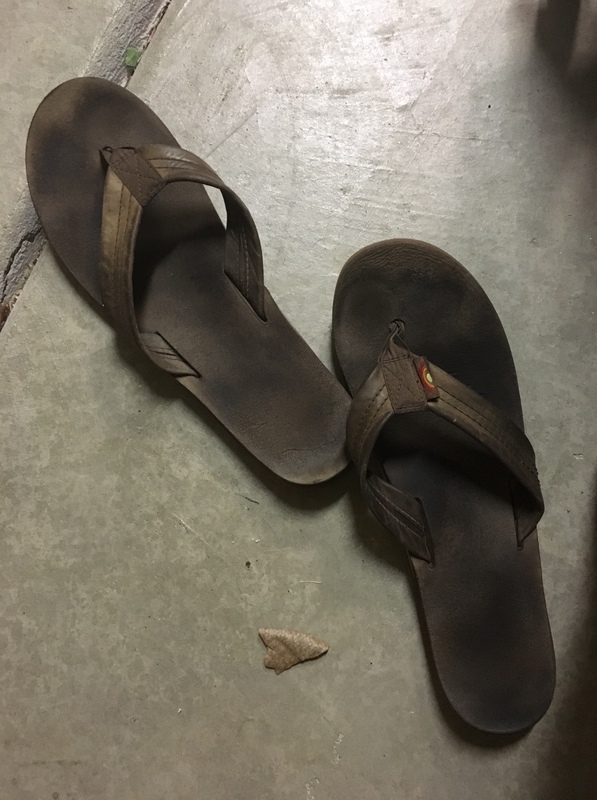 It is time for a new pair. If you’ve been searching for a pair of casual sandals then search no more. Nordstrom also sells them if you’d like to try them on. A few months ago, I went on a super quick girls weekend to Napa with two of my dear friends. They were both in my wedding and when we lived together we created a pretend sorority. We named it after ourselves, Beta (Bek), Sigma (Sarah) and Kappa (for Jen’s last name because we either couldn’t find the Greek letter for J or it doesn’t exist, and her last name started with C at the time so it was close enough). We have Christmas stockings with glitter glue immortalizing this time of our lives. Beta Sigma Kappa forever in our hearts. Here are Sarah and I with some friends (Annie is second from the top and my friend Bonz is on the bottom) doing important things, obviously. As you can tell we were a fancy sorority with only fancy events. One of our house parties involved giving the weather the what-for by pretending it was summer in the middle of a rainy March. We insisted on summer by turning up the heater, dressing in tank tops and skirts and drinking margaritas over spring break. We made fake summer and it was awesome, take that rainy days in March when they are naturally occurring. Now that we’ve walked down memory lane, on to the food. On our trip we discovered that we were all in a dinner rut involving the same few favorite meals that were quick go-to’s. One of them came up with the brilliant idea of sharing our top faves in an email (we are SO original). So, having done so, without their permission, I am going to share with you some of my favorites and some of my friend’s favorites. These recipes HAVE BEEN tested and eaten and enjoyed so much that they are the tops of the tops. We literally cook them a few times a month, if not weekly. Now, Sarah is a vegetarian and Jen and I often cook vegan in our homes, so many of the meals are vegetarian, vegan or close enough;-) But please remember how much I like ALL food. I often cook vegan at home because I believe it is incredibly healthy, but I’m not about to sacrifice tastiness. All that being said, this food can be plated among my favorite fish tacos or a delicious fried chicken and hold it’s ground just fine. It’s not, “good for vegan food”, it’s just good in general and happens to be fairly healthy. So give the veggies a try. USE THIS guac and add black beans to it: http://www.recipetineats.com/best-ever-authentic-guacamole/ this guac is my favorite guac. I make it all the time without the chilies, because I couldn’t find them. Side note: you can freeze chopped red onions and toss them in frozen for the next time, they smashe up easier when cold. 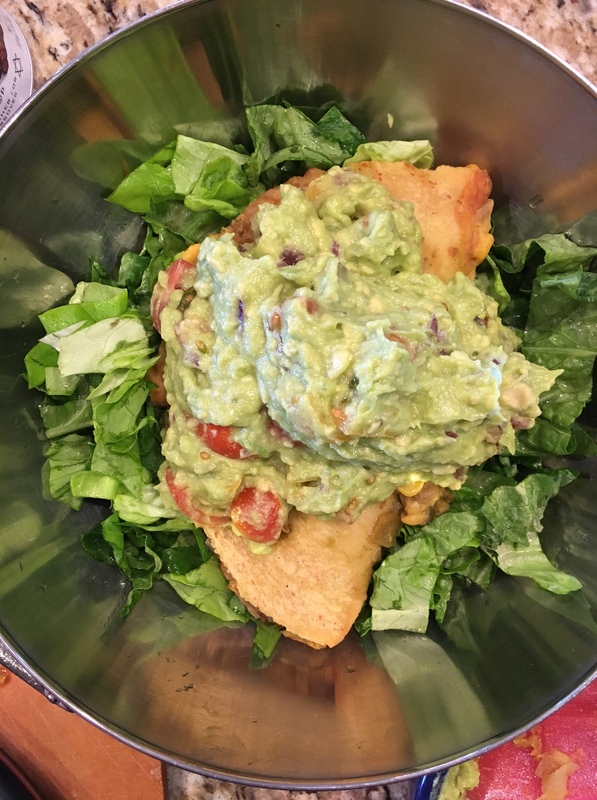 Here’s the guac on top of a summer enchilada from Happy Herbivore’s Meal Mentor Trial. Yes, I made an enchilada salad. It was really just a good excuse to eat an entire avocado. I’m serious. 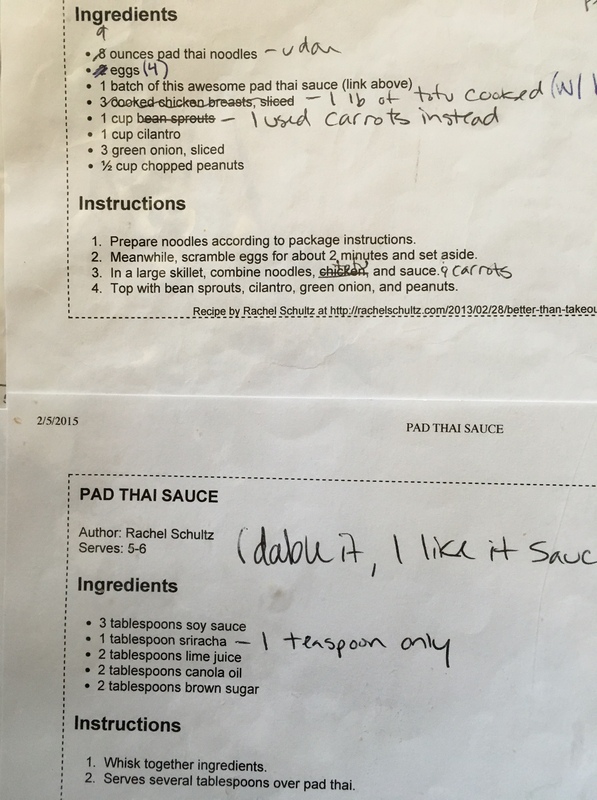 #3: Time consuming, but delicious: http://www.chowhound.com/recipes/vietnamese-style-summer-rolls-with-peanut-sauce-10641#! * for this one, I’ve made QUITE a few changes, picture attached below. We eat it once a week. It’s great as cold leftovers for a lunch to-go. We leave out the Sriracha in the cooking process and use it as a condiment instead. I use udon noodles and we usually add an entire bag of shredded carrots from TJ’s. Love me some carrots. Be sure to double the sauce, otherwise it’s just a sad, sad bare noodle situation. 100% eat some of the leftovers cold on top of a bed of dinosaur kale. Be sure to slice out the thick stems on the kale, they are the bitter! I make this often and serve with sliced granny smith apples: http://chocolatecoveredkatie.com/2011/05/23/want-to-eat-an-entire-bowl-of-cookie-dough/ This girl has some GREAT oatmeal recipes, desserts and otherwise. #9: Jen mentioned she uses the chickpeas and cauliflower as left overs with brown rice the next day as a work lunch: http://www.twopeasandtheirpod.com/roasted-cauliflower-and-chickpea-tacos/?m Pretty sure I made these and FORGOT the cauliflower, and they were still yummy, also sans the jalapeno. Try to get soul back into body. Buy tzaziki from the store. Well my friends, being an ENFP, compiling that list in any sense of order about did me in. I did it for YOU though, because I like you, and vegetables. And vegetables are good for you and I. And we should all eat a little more sometimes, but not all the time. Sometimes we should eat chocolate. So happy to look in my email & see you had written a blog & with one of my favorite things – recipes. Your writing pulls different emotions out of me – this just made me happy from start to finish. Can’t wait to try some of those recipes. This week when prepping my menu & shopping list I pulled out 4 new recipes to try. One a lentil soup I made tonight & it was very good. Hopefully so will the others. Rhonda! Thanks for brightening my day with your thoughtful words! It means so much that my writing would make you feel happy:-) You’ll have to share the lentil soup recipe!! Let me know how the rest go. Hugs!! !